The Occunomix Stow-Away Hard Hat Shade offers sun and heat protection to the face, ears, neck and reduces glare. It helps prevent sunburn and blocks most UV rays. It also keeps outdoor workers comfortable in sunny conditions. 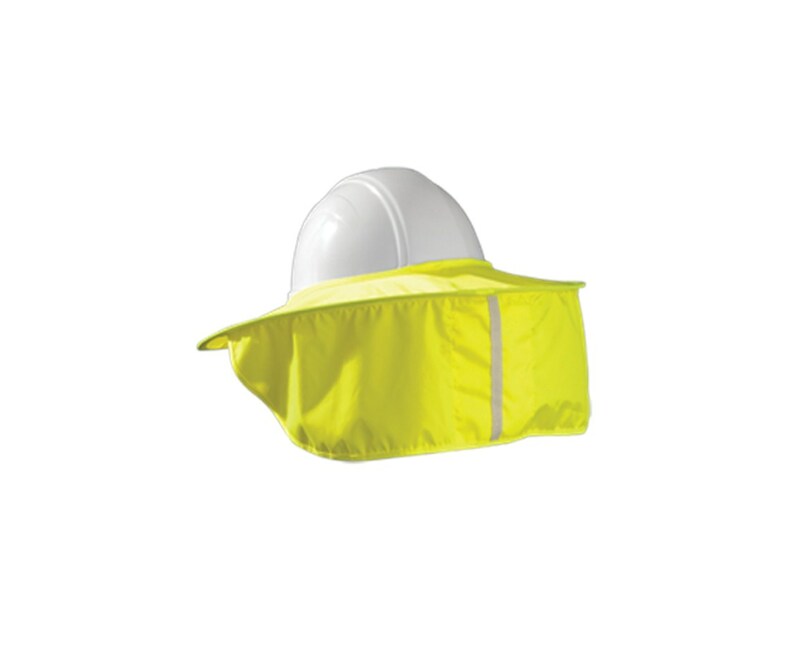 Made of cotton, the Occunomix Stow-Away Hard Hat Shade is comfortable to wear. 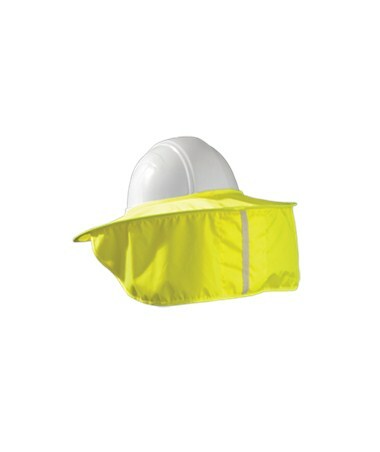 Hi-vis yellow color made from polyester oxford. It helps facilitates perspiration evaporation creating a cooling effect and prevents heat stroke and other heat-related illnesses. This Occunomix Stow-Away Hard Hat shade is available in four different colors. 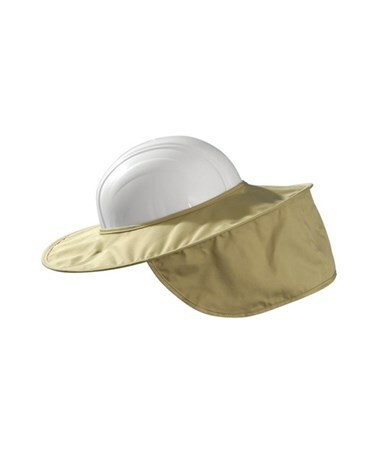 The Occunomix Stow-Away Hard Hat Shade fits almost every hard hat including full brim. It has a wire spring around the rim and easily folds away into a convenient 6" circular self-pouch. It comes backed by a 90-day manufacturer’s warranty. The Occunomix Stow-Away Hard Hat Shade is available in different colors. Please choose from the menu above.